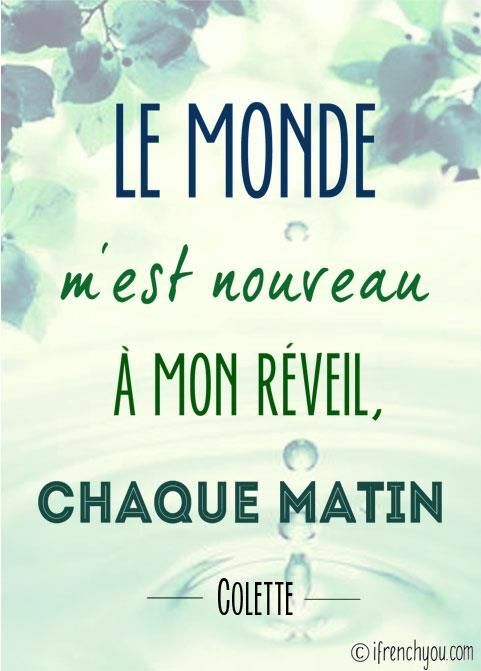 “World is new to me when I wake up, every morning”, Colette. Last week, I mentioned the amazing TPRS workshop I attended in the ville, town of Agen in the South West of France. The workshop is organized by Judith Dubois, who has taught English in a lycée, high school in France for many years. She is a published author and since her retirement has been giving private lessons and traveling around Europe to talk about TPRS. 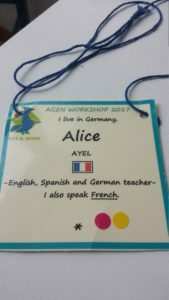 The workshop in Agen is aimed at language teachers who want to learn more about language acquisition and comprehensible input methods. I learned so much from all the amazing language teachers I met. I was just overwhelmed with a deep sense of passion, creativity and love!!! The best part was to become a beginner language learner yet again, something I had not done for years. I am still acquiring German but I am not a true German beginner. In Agen, I got to be in Breton and Chinese classes as a complete beginner and it hit me! When I sat down and listened to the teachers, I was stressed out and overwhelmed because I could not understand a word. Those languages do not have cognates or references I could link with any other languages I know which did not help! My affective filter was very high, I was feeling anxious and had negative feelings. However the teachers were going very slow, they were patient and kind to me, they were repeating the words, they were smiling at me. My affective filter started to go down. I was more receptive to new input. I started to comprehend those new languages. By the end I understood whole stories in Breton and in Mandarin, I was thrilled! Me at an evening coaching session in Agen this summer! The affective filter is crucial to acquire another language. Speaking is the consequence of language acquisition. Therefore speaking is welcome when it is genuine speaking, as opposed to embarrassed, strained output. My job as a French teacher is a partner, a mentor, a language facilitator. It is positive! Another best part of the workshop was to have time for meals in the lovely vieille ville, old town of Agen and in-depth conversations with other participants. We had two hours for lunch which indeed went very quickly! One of the restaurant we kept going to is called Quarts CK. It is quite small so remember to book a table to secure your lunch there! Well, this restaurant is not only great for vegetarians, it has simple and delicious dishes, perfect for networking lunches. I had l’assiette gourmande which would translate into the greedy dish in English. Although we debated over the word gourmand in French which is more subtle than greedy! If you have a better translation for it, please share it in the comments below! Soupe de gaspacho, rilletes de saumon, melon et jambon de Bayonne, quiche et petite salade, miam ! We also had a delicious Pavlova, which not un dessert français, a French dessert but it was truly gorgeous! Photo credit to Hélène Colinet who is a French teacher in Mallorca. Watch out for Learn French the natural way Season 2 every Tuesday! Guess what? This week’s story is about food!!! Corentin prepares a surprise for his mum. Will it go as planned?? ?